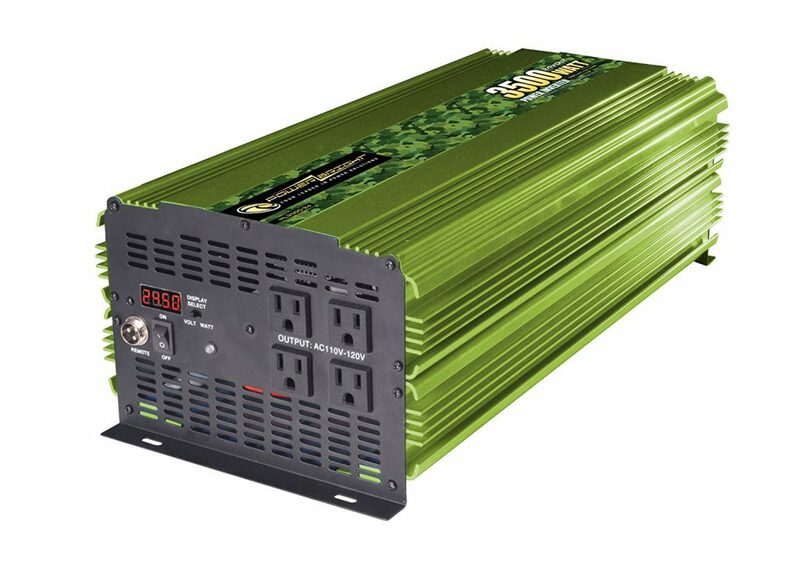 Todays Review is going to be about the Power Bright ML3500-24 3500 Watt 24 Volt DC To 110 Volt inverter and we will go through some important things to know Before and if you buy it. Solar energy inverters are one of the main components that one sizes for if he/she wishes to install a solar energy system. It is used to convert energy from the solar modules into electricity that is usable by the electrical appliance in the household. Most of our solar components used here on this site, InstallOffGridSolarSystem.com, are highly recommended and people offer positive reviews about them. In our case, we always see the need to review the products we use on our budgets at InstallOffGridSolarSystem.com. we try to elaborate more on the product features and the availability of the product in amazon. So that we may save you the hustle on installing your own solar system. With that that short introduction, let’s get started to reviewing above solar energy component, that is our solar inverter Power Bright ML3500-24 3500 Watt 24 Volt DC To 110 Volt. Again on InstallOffGridSolarSystem.com we bring out a review of yet another solar product used in our solar budgets. This time a AIMS inverter review. Remember this products have their own roles in the solar system and if you changed on, you would be forced to change a lot more others in your system. So for me to come up with them I have done my maths and found a particular component suitable for the particular solar budget. For instance we are about to review an inverter I used in our $7,000 budget and it fits there just fine. Let´s go to the review! Designing off grid solar systems is what we do here at www.installoffgridsolarsystem.com. We size them for you and recommend components from amazon. Battery bank is a very essential solar component in your solar system. More so in off-grid solar systems battery bank is the one that powers you house and takes care of the days of autonomy. There are various types of battery used in various systems apart from solar systems. for solar systems we mostly use deep cycle AGM types of battery. You will need to choose wisely for batteries with strong positive reviews like the Vmaxtanks Vmaxslr125 AGM Deep Cycle 12v 125ah below for example. Ok, let´s head on to the review! Today we look at the Whistler 3000 watt power inverter XP3000i. Inverters are part of solar components found inside the house. They are installed on the wall near the battery banks. Inverters are also grouped in categories according to their efficiency they output characteristics. They are mainly used to convert direct current from the sun into alternating current used in our households. At www.installoffgridsolarsystem.com we will be using some of the inverters available in amazon to create for you solar budgets that you could use as references while installing your own solar system.